In the third of the Enjoy Series (along with Enjoy Your Bump and Enjoy Your Baby), parents learn how to get the most out of the infant years. 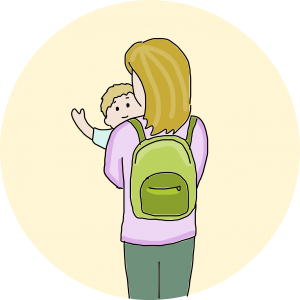 The combination of mobility, developing language skills and the growing awareness by their child that they are individuals who can say “No!” brings many challenges. Yet also the infant/toddler period offers the opportunity to build a firm foundation for life. In four attractive and fun sessions parents will learn how to watch, listen, understand and build their relationship with their child and also help their infant grow in confidence and in their ability to understand and communicate their feelings. How to grow a healthy relationship between the parent and their baby/toddler. Building the relationship with your baby/toddler and staying connected. Communicating effectively with your baby/toddler so they learn to make sense and understand their feelings. Using play to build fun and connection. The different roles Mum (or Dad) plays. Understanding what you baby/toddler is thinking and feeling – by watching, listening and being curious. Learning to play by your toddler’s rules. Finding and using your support team. We can visit you at your chosen location to teach you service team how to use this course with your clients. When purchasing a license you will receive presentation slides and speaker notes to deliver the course. Want to know more? Please contact us at training@fivereas.com to book a local practitioner training course. We also offer training workshops on a regular basis, visit www.fiverareas.com/training for details.